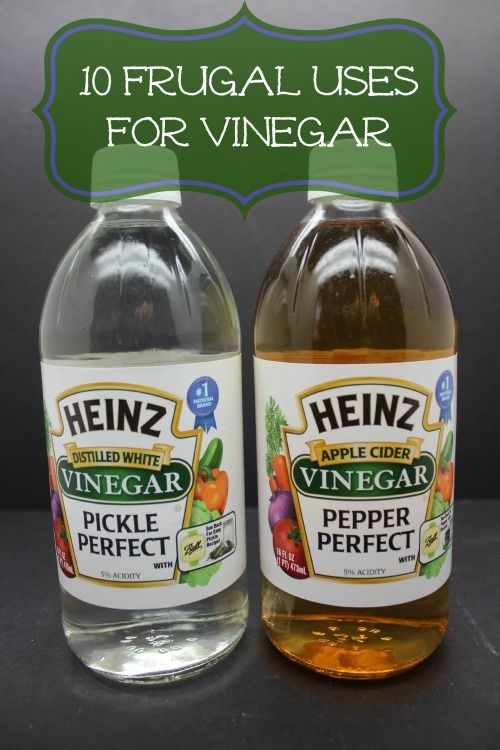 Vinegar is an inexpensive item that should be a staple in your home. It can be used for so many things from cleaning to your salad dressing. It is truly a versatile item that can save you hundreds of dollars on expensive cleaners and other items throughout the year. You can buy vinegar in bulk at almost every grocery store or warehouse store to save money. The bath can get quite dirty after much use and a lot of neglect. That doesn’t matter though, because you can clean your bath quick and easy with both baking soda and vinegar. Just give dirty areas a good dusting of baking soda, follow with vinegar, and scrub vigorously with a sponge while the mixture fizzes away. Clean away any leftovers with water. Just a word of warning, you should probably have a window open so those fumes can go somewhere. All of us have suffered a nasty spill of some kind (and I’m not talking about the kind where someone drops a drink) and those bruises can become extremely sore after a while. However, you can make all those nasty black-and-blues go away, just soak some cotton gauze in a little bit of vinegar, apply it to the bruised area, and let it sit for around an hour. You have a choice, spend a pretty penny on some fancy “all-color, stain-fighting, super-effective” bleach, or you can spend a couple of bucks on some plain, white vinegar. Just add half a cup of that stuff to your wash cycle to reinvigorate and brighten all the colors in all of your laundry loads; reds, blues, greens, yellows, blacks, and whites! It can also help soften your towels! Is the sink not draining as quick as usual? Chances are it’s probably a little clogged up by grime and such. This isn’t a problem though, all you need to do is pour roughly a quarter of a cup of vinegar and a quarter of a cup of baking soda down your drain, wait a little more than 15 minutes, and then follow it all down the drain with hot (preferably boiling) water. We’ve all had to wait that dreaded 5 minutes every winter morning; the windows are slowly-but-surely clearing up and you’re already 10 minutes late for work. You can keep Jack Frost off your windows by spraying a solution that’s 3 parts vinegar and 1 part water on your car windows every few weeks. Hate having to hold your breath when open your trunk to put the groceries way, or maybe that musty old closet is getting to be a little too unbearable? You can freshen up the smell of these places quite easily! All you need to do is give a slice of white bread a soak in some white vinegar, place the soggy piece of bread on a plate, and keep it in that closet or trunk for a night. Things will start smelling good again in no time! Whether you are the gardening type or you just took a stroll through the produce section at your local supermarket, you never know what’s clinging to the surface of your fresh fruits and vegetables. If you’re not feeling safe about your food, you can always wash them with 1 tablespoon of white vinegar mixed with 1 1/2 quarts of plain water for a nice, bacteria-cleansing wash. So, you’ve finally gotten grandpa’s old tool box open, expecting gold and treasure, and just got some rusty old Depression-era hammers and screwdrivers. You can clean up granddad’s old tools real easy; just submerge them in some plain white vinegar for a couple of days until the rust is all gone. If you have some vinegar, water, and dish soap lying around, you can make a window cleaner that outperforms most others. Put 2 cups of water, 1/4 of a cup of plain white vinegar, and 1/2 a teaspoon of your favorite dish soap/detergent all into a spray bottle and have clean, clear windows in no time at all. Is Fido biting and scratching away at himself because flea season has started in your state (Deeply sorry for those in the deep south who have to deal with the pests year-round)? You can keep those bugs away by filling a spray bottle with equal parts vinegar and water and applying it to your dog or cat’s coat before rubbing it in. Be careful with cats though, they’ve been known to get a little resistant and violent when vinegar and its “horrific” scent get involved. What other ways to use your vinegar to save money? I use equal parts apple cider vinegar and warm water to soak my feet, then I give myself a pedi. I dry my feet and put alittle Yes to Carrots lotion on and my feet feel so wonderful!!!! Helps get rid of toenail fungus too!! Cheryl – That sounds awesome!!!! I love that idea!!! I put vinegar in my carpet cleaner! I also clean counter tops in the kitchen and bathroom instead of other cleaners…also, I didn’t know about it brightening your laundry, but I use it in my laundry to eliminate pee smell. I have 2 kids that wet the bed and a dog and it seemed like no matter how many times I washed their sheets, the smell lingered. The vinegar took care of that!